Commissioned by Gresham to design a new range of Task seating the whole studio worked as a team to deliver each element of the product with the same regard for detailing and quality as the next. We used our experience and empathy with manufacturing and assembly techniques to inform the design and realised a product which is not only appropriate for the market but well suited to the client’s competences. The Oscar chair includes a number of innovative ergonomic features. Extracting value out of an established market is notoriously difficult. Faced with trying to develop a product in the task seating market is just about as complicated as it gets when it comes to furniture. Gresham presented us with both problems. Many creative designers baulk at the challenge of producing a chair which fits an established market aesthetic and hits a budget we saw this as a great opportunity to flex our ingenuity. Innovation within this market is limited, the introduction of the modular back frame with real system thinking. Before a thought was given to the form of the product we reviewed manufacturing capability and skills, competitors and market potential and finally supplier capabilities and opportunities. Once we’d selected the manufacturing model and a set of partnership criteria we went through a program of sketch and model, created bespoke ergonomic test rigs, printed, sculpted, and refined 1:1 machined prototypes before checking a batch of high quality prototypes on a selected group of reviewers. After another round of refinements, we went through cost refinements, advanced engineering development with the toolmakers before pushing on with tooling. Design like this is collaborative and highly iterative, so keeping in touch the in-house team throughout the process was a big part of the projects success. Technically complex from an engineering perspective but also challenging in the demands on us to help establish best fit partnerships for our client. 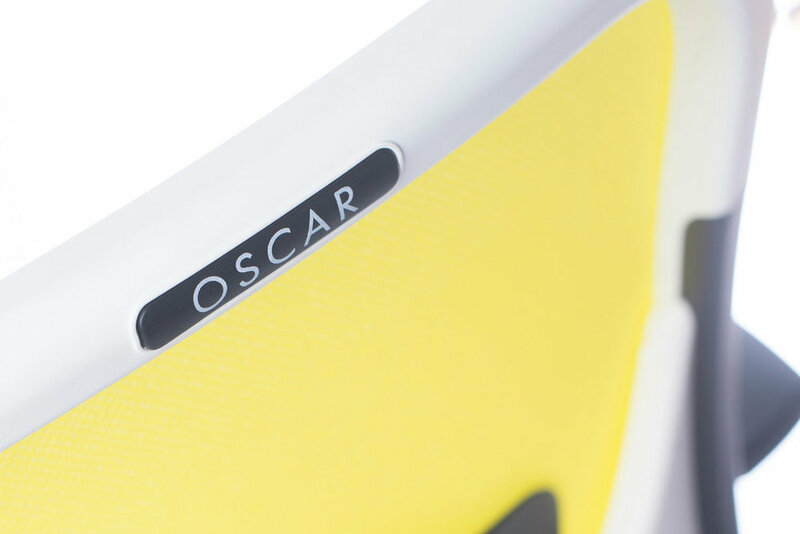 The Oscar chair was a delicate mix of innovation and cost-conscious design. Achieving the balance of making a product fit market expectation yet excite with differences which won’t alienate an existing client was part of the products success.Going through this whole process and creating a product which is both comfortable and exceeds all the relevant standards is something we’re extremely proud of. We have a happy client with a product which will bring new business. For us this means that we have a new client open to the potential that a well-designed products can bring.